Please plan to attend the opening of the Balance Art Gallery, Learning Resource Center, 4th floor. Reception and Artist Talk will be on Thursday, April 16 beginning at 4 p.m. The exhibition is available for viewing from April 23, 2015, through August 14, 2015. The exhibition “How to Get A Degree In Fine Arts,” is a student run exhibition that showcases some of CPCC’s prominent Fine Arts majors. Featured artists include Kelly Rambo, Rebecca Buchanan, Haris Vehabovic, Heather FitzPatrick, Nikki Oliver and Fat Stephen. A wide range of mediums and content will be on display. community is encouraged to participate in this free event. 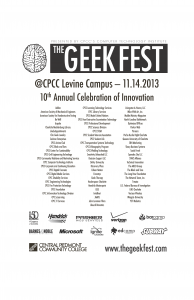 Attendees will interact with exciting new technologies, meet innovative companies and learn from industry experts. This year’s event will highlight a variety of exciting topics, including careers, startups and entrepreneurship, product development, digital media, programming and software, animation, automotive technology, engineering, mobile computing, instructional technology and much more. Activities will include guest speakers, an exhibit hall, demonstrations, activities, video games, music, contests, food and door prizes. 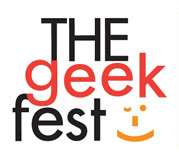 WHEN: Thursday, Nov. 13, 9 a.m. – 5 p.m.
To learn more about THE Geek Festival, please visit http://www.thegeekfest.com. 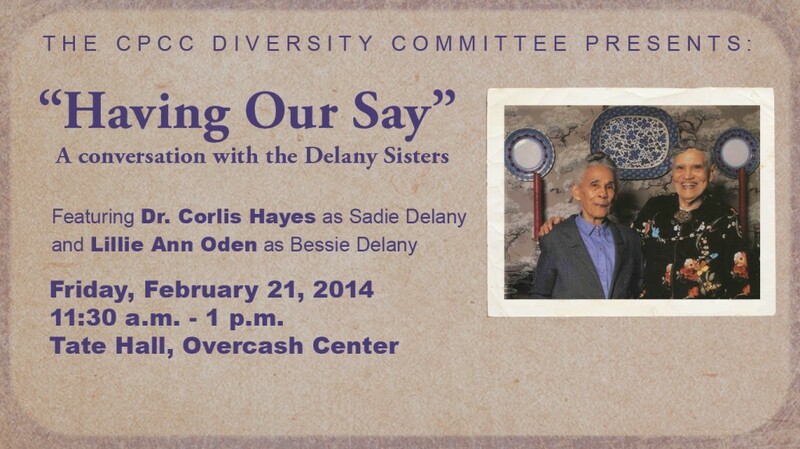 The CPCC Diversity Committee presents “Having Our Say,” a conversation with the Delaney Sisters, featuring Dr. Corlis Hayes as Sadie Delany and Lillie Ann Oden as Bessie Delaney. Day: 11:30 a.m. – 1:30 p.m. The CPCC Levine Campus “Fall Student Resources Day” (SRD) is an event when the Levine Campus student resources and services (ESS) professionals and other college partners are available to meet students in an open, informal setting outside of the office. There will be free pizza and prizes to attract students and make them feel comfortable while our Student Resources Day personnel provide information and encourage students to make use of the valuable resources and services available at Levine Campus. SRD is an important student success/retention effort designed to promote exchange between our students and us. Our hope is that students will find this information helpful and will also enjoy meeting our staff personally. Faculty and staff are welcome to join us for refreshments. Please contact me if you have any questions or suggestions. 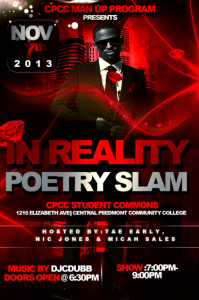 Barry.Gilmore@cpcc.edu 704.330.4252. 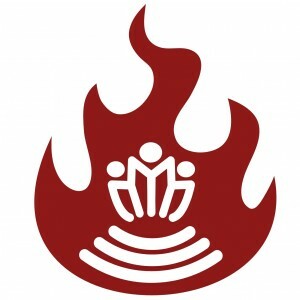 The Central Campus will host the 2013 CMS Summer Institute June 19 through 28. Hundreds of CMS educators will be on-site to attend a series of trainings, lectures and guest speakers. As a result, there will be an increased number of cars on campus utilizing student and employee parking areas. 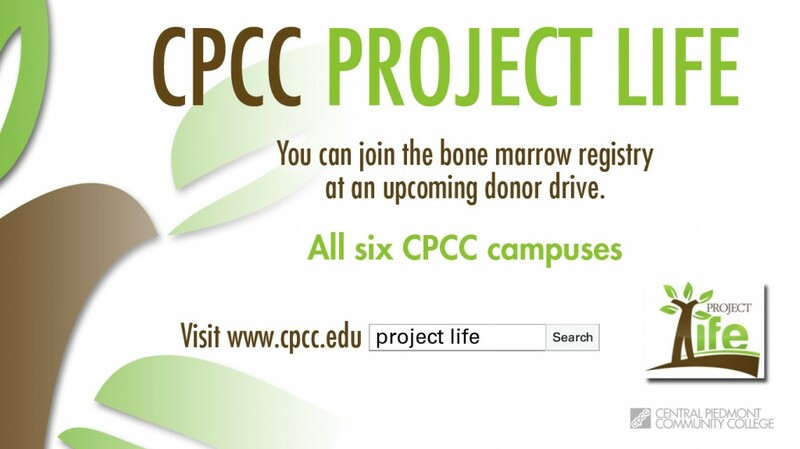 During this time, we ask CPCC employees and students allot more time to finding parking at Central Campus. And, as you go about your day, if you notice any CMS attendees who appear lost or confused, please serve as a positive ambassador for our College and offer them assistance. participate in this free event. 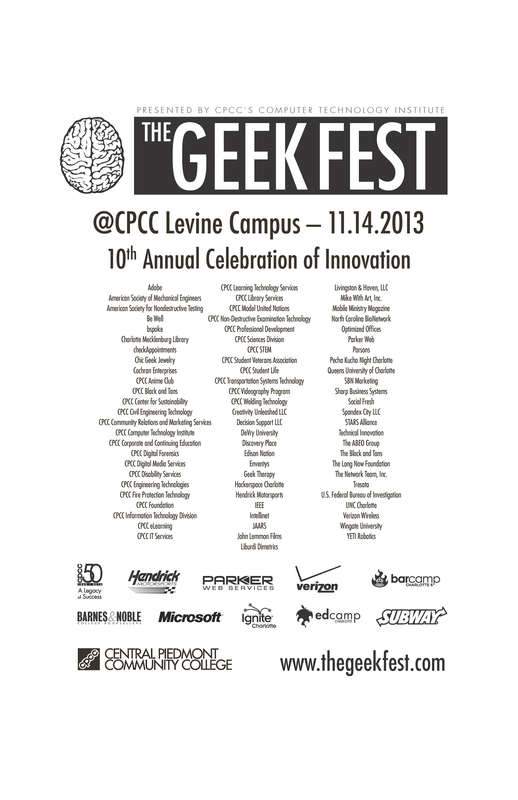 Attendees will interact with exciting new technologies, meet innovative companies, and learn from industry experts. This year’s event will highlight a variety of exciting topics including launching a startup business, product development, social media, programming and software development, video game design, animation, automotive technology, business intelligence, mobile computing, e-learning, instructional technology and much more. Activities will include a Microsoft IT Camp, guest speakers, demonstrations, activities, webcasts, video games, music, contests, food, door prizes and more. 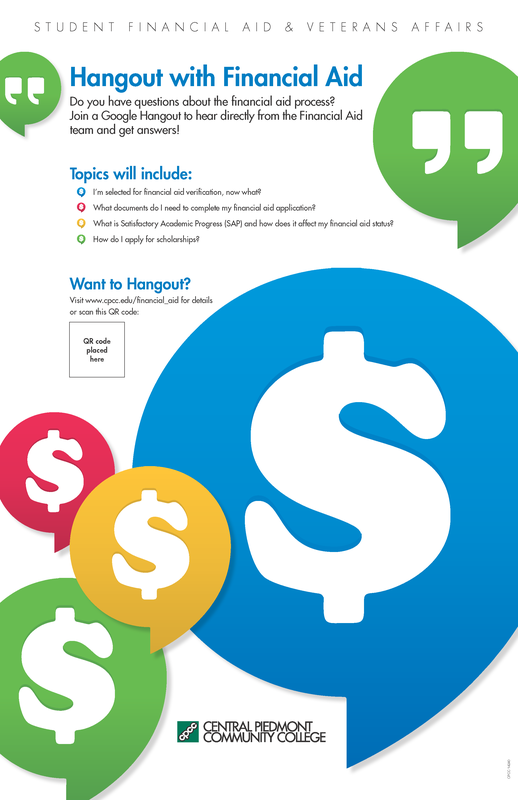 WHEN: Thursday, Nov. 15; 9 a.m. – 5:30 p.m.